With sensitive data on the move and increased mobility in business, implementing advanced security solutions for identification and data protection has become essential. Select an access control is protect people, goods and data. Confidence in the solution must be commensurate with what is at stake. prevent credentials from being substituted or emulated. 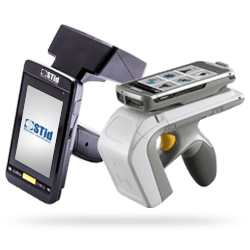 It is the first link in a security chain that must be uniform and consistent: card, reader, system. 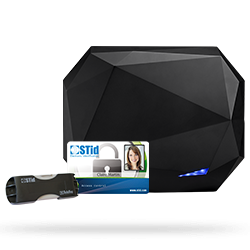 STid enables you to specify, create and manage encryption keys that protect your data. Specification of keys and creation of master cards without external intervention. Autonomy and freedom to change the system or its security settings, or supply new cards. Storage of sensitive data within your organisation. 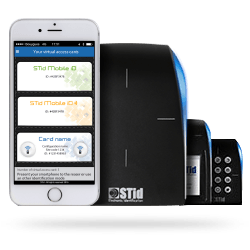 STid has developed a simple system for implementing a secure data chain for your access control application. 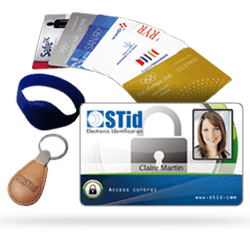 First RFID manufacturer to have received First Level Security Certification (CSPN). 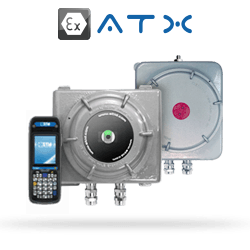 Our technologies are based on non-proprietary and open technologies compatible with all access control systems via use of approved public security algorithms and interoperable technologies (RFID, NFC HCE, Bluetooth® Smart), based on international standards (ISO 14443 types A & B, ISO 18092 etc.). 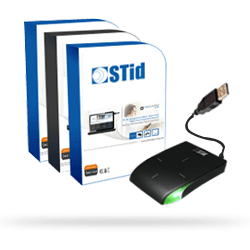 STid offers multiple options compatible with your systems: Plug & Play connection for easy major technological migrations without having to rethink the whole system. The reader communicates with the card autonomously. Architecture compatible with all systems on the market. Decoder / Converter supporting the SSCP protocol, integrated into the secure area. 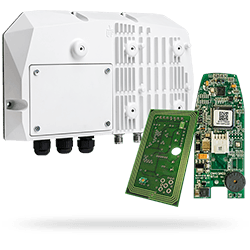 Plug & Play architecture instantly compatible with all systems on the market - no development needed. Dynamic control of reader, securities and secure protocols integrated along the whole chain. 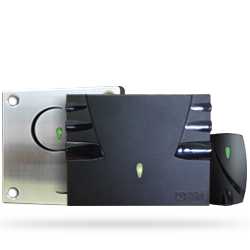 EasyRemote (read only) interfaces are used to transfer security mechanisms and key storage into the secure area. The transparent reader does not contain keys and security is ensured across the chain. The RemoteSecure interface (read write) is used to transfer security mechanisms and key storage in secure area. The transparent reader does not contain keys and the security is guaranteed across the chain. It is compliant with the ANSSI architecture number 1. 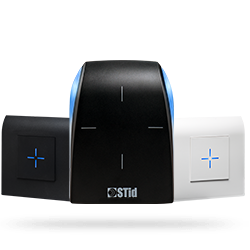 Bi-directional communication - can add security features for connecting card readers to control panels. Selection of communication method and security level - V1 (plain communication) and V2 (Secure Channel Protocol - SCP secure communication). 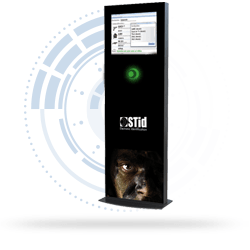 The open STid Secure Common Protocols (SSCP and SSCP2) provide security between reader and management system, enabling AES encryption and mutual “reader-controller” authentication before communication. SECard, how does it work ? and 1 encryption keys defined. User RFID and virtual cards programmed using the encryption keys defined. Readers programmed using my configuration card - they only recognize my cards.